The best learning environment for children comes from having the best teachers. Children taught by highly qualified educators start school with better social, language, literacy and numeracy skills. Our caring educators are among the most highly qualified in Australia. 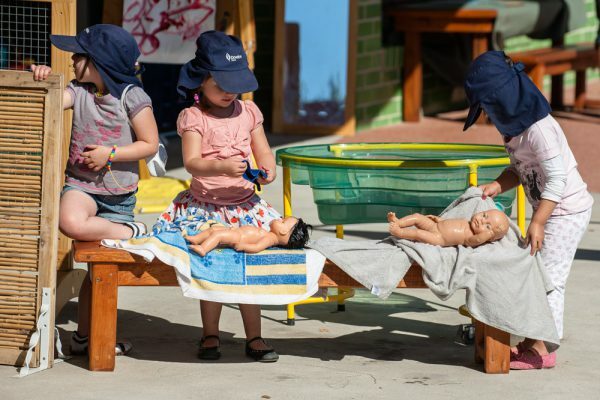 The number of qualified educators at our Early Learning Centre is well above the minimum level required under national laws for long day care. Teachers with Master’s degrees in early childhood education lead a team of highly qualified educators in each of our learning rooms for babies and pre-school children. In bright, airy rooms our highly qualified staff help children develop social, emotional and cognitive skills that build success for life. Every child, including babies, at our Early Learning Centre has an individual portfolio in which teachers chart progress during the year. The portfolio is like a diary, with samples of the child’s drawings and paintings, as well as photos of activities. At least once a month, the teacher writes a Learning Story in every portfolio, describing what that child has learned, the activities he or she loved the most and the discoveries made. We encourage families to look at the portfolio at any time. At the end of the year we give the portfolios to families as a permanent, delightful record of their child’s learning journey. Led by a teacher with a Master’s degree in early childhood education, our team of highly qualified educators creates a stimulating, fun learning environment for every child. Our ratio of one educator for every three children allows us to give each child the attention and care he or she deserves. Our daily learning program focuses on activities that develop children’s intellectual and emotional growth: songs, rhymes, story telling, dance, inside and outdoor play. We encourage activities and play projects where children can play independently and cooperatively in small groups. 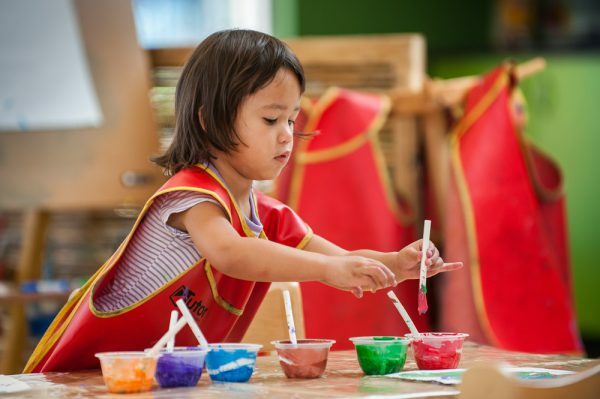 The diverse cultural backgrounds of our families are easily accommodated, with nine different languages spoken by educators in our Early Learning Centre. Parents, grandparents and carers are welcome at the Centre any time. Come in and see our program in action. The pre-school years are an exciting time in a child’s development. They learn about making choices, developing friendships, empathy and responsibility as well as developing their literacy and numeracy skills. We create an imaginative environment for children to learn these skills by providing a high quality education program for every 3 and 4-year-old child. 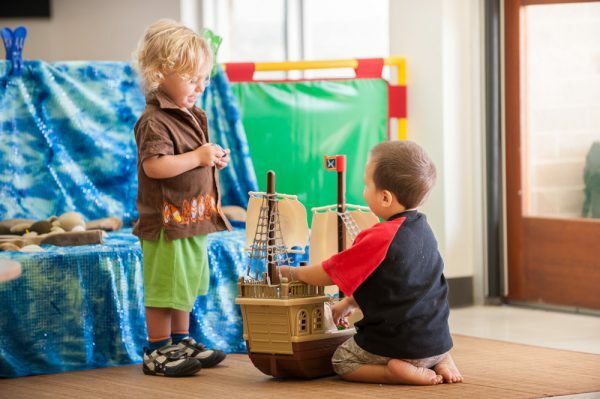 The program is taught by a full-time early childhood teacher in each room and our team of highly qualified educators. 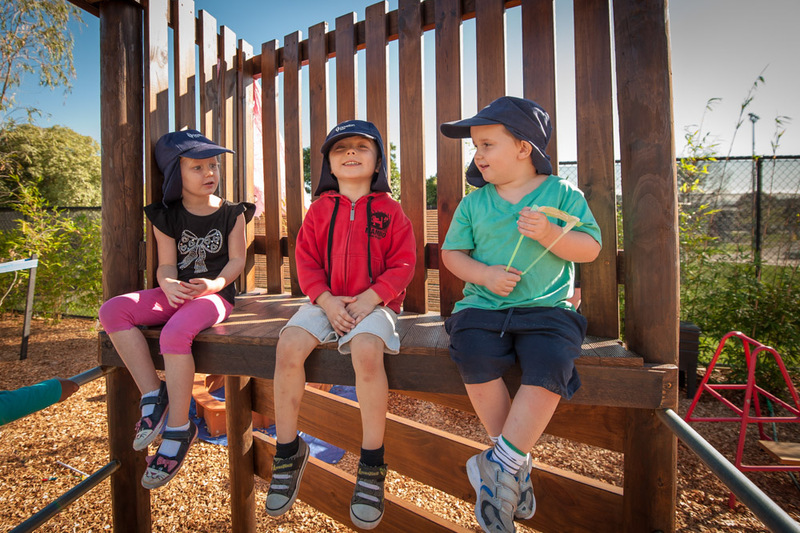 It is based on the National Early Years Learning Framework and the Victorian Early Years Learning and Development Framework. Music, storytelling, dance, songs, books, drawing and building activities form a big part of our daily learning activities. Children play with and learn about numbers and letters, colour and shapes. They learn about responsibility by growing and picking vegetables from our vegetable garden and by caring for our pet fish, stick insect and budgerigar. 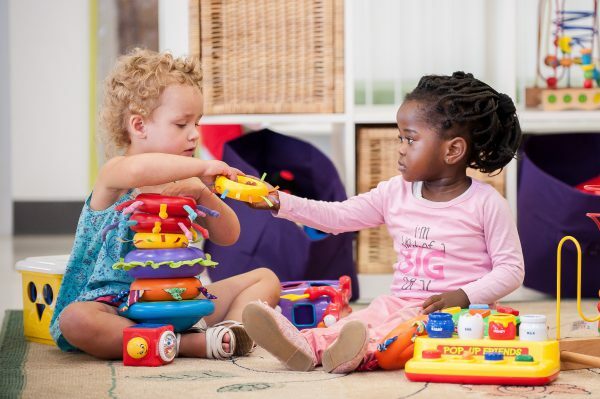 The diverse cultural backgrounds of our families are easily accommodated, with many different languages spoken by educators in our Early Learning Centre. Parents, carers and grandparents are welcome in the Centre any time. Every child needs to be socially and emotionally mature to cope with change and the demands of a classroom. They need to know how to get on well with other children and feel comfortable being part of a group. Our teachers take children on regular visits to the Prep classrooms and the school library to help them become familiar with the school environment. Physical Education and Music teachers regularly conduct lessons as part of the link between ELC and the school. Children also take part in the school’s transition to Prep program that occurs towards the end of each year and is available for all children enrolling in the College’s Prep-Year 9 school. Our centre is a place for parents and carers, as well as children. We encourage parents and grandparents to come into our rooms at any time, to read a book with children or take part in an activity. Every term we have a family function in each room where families meet our staff and take part in fun activities with their children. 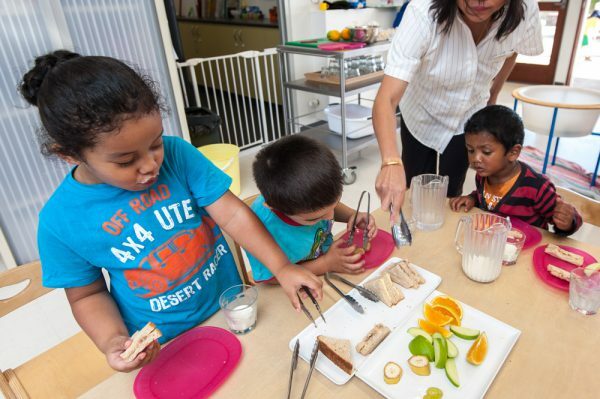 We focus on children developing healthy eating habits by introducing a wide range of fruits and vegetables into meals prepared by our cook. We emphasise the importance of good manners by teaching children how to be kind and considerate to others, how to be resilient and develop self-regulation of their behaviour. Our director is responsible for overseeing our teaching and learning program, making sure that every room has a detailed learning plan and every child has an individual learning plan that includes teacher observations and assessments. We believe it is vital to intervene early if a child has a development problem. Problems are identified early, assessed and acted on quickly. If families need specialist help we ensure they get it through our integrated model of health, education and family services available on site. Our centre’s program is guided by the Australian Children’s Education and Care Quality Authority and the Victorian Department of Education and Training. We ensure that our programs, staff, equipment and facilities comply with the regulations outlined by the Authority in its National Quality Framework.